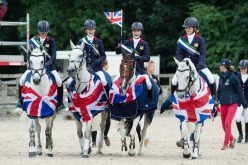 Italy’s Anna Cavallaro fended off tough competition from Germany’s Kristina Boe to take the women’s title, and the hotly contested pas-de-deux was won by Italy’s Silvia Stopazzini & Lorenzo Lupacchini – a first for Italy – who put on a show-stopping display of their ‘The Little Prince’ routine. In the men’s category, vaulters had a tense wait until Sunday morning to find out who would be crowned champion, and after just missing out on the title last year Germany’s Jannis Drewell returned to top form. He performed both rounds with stunning conviction to lift the trophy in front of his home crowd. Cavallaro, competing in her seventh World Cup Final, shocked audiences on day one with the début of a brand new freestyle theme. Her wolf interpretation impressed the judges to score 8.662, allowing her to take the lead over Boe (8,418). 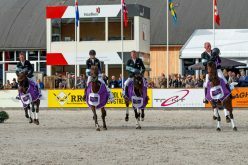 You could feel the tension in the Westfallenhalle as Cavallaro with her lunger of 20 years Nelson Vidoni and star horse 11-year-old Monaco Franze 4 entered the arena for day two. 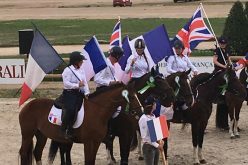 She managed to hold her nerve to take her third FEI World Cup Vaulting title under intense pressure on a final score of 8,654. 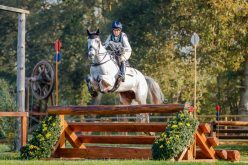 Boe, the 29 year-old doctor known for her exceptional artistic impression, made a foot perfect second round performance of her zombie freestyle linking a number of risk moves, and with Don de la Mar and lunger Winnie Schluter, she finished second on 8,534. 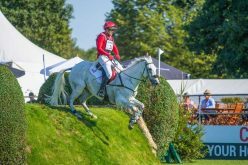 Lukas Heppler (SUI) once again teamed up with Monaco Franze 4, with whom he won the opening qualifier in Madrid, and after a nervous first round performance, he excelled on the second day finishing second on 8,554. 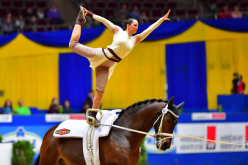 Silvia Stopazzini and Lorenzo Lupacchini, the breakthrough pairing of this season’s World Cup, performed their ‘Little Prince’ freestyle – a routine packed with difficulty and creative flair – to win the pas-de-deux on a total score of 8,695. 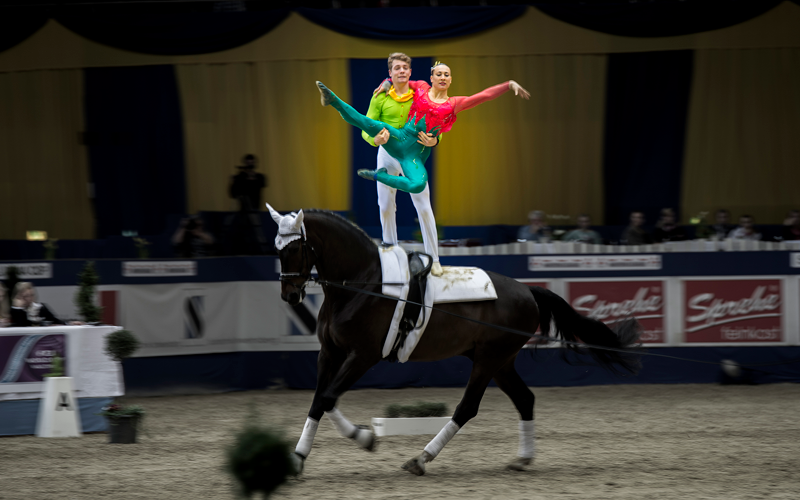 Germany’s Theresa-Sophie Bresch and Torben Jacobs maintained pressure on the Italian pairing throughout the competition and with their Swan Lake freestyle won second place on 8,689. Female Individual: 1.Anna Cavallaro (ITA) 8,654; 2. Kristina Boe (GER) 8,534; 3. Silvia Stopazzini (ITA) 8,242; 4. Nadja Buttiker (SUI) 7.986; 5. Janika Derks (GER) 7,580; 6. Pascale Wagner (SUI) 7,288. Male Individual: 1. Jannis Drewell (GER) 8.720; 2. Lukas Heppler (SUI) 8,554; 3. Jannik Heiland (GER) 8,406; 4. Daniel Kaiser (GER) 8,302; 5. Balazs Bence (HUN) 7,678; 6. Francesco Bortoletto (ITA) 7,423.